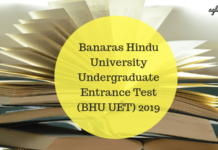 BHU PET 2019 Admit Card – The Admit Card for BHU PET 2019 will be made available online on the BHU Entrance Test Portal which is www.bhu.online.in. Candidates will be required to enter their Unique Registration Number and Password in order to download the BHU PET 2019 Admit Card / Hall Ticket. The Admit Card for BHU PET 2019 will be issued to the candidates one week prior to the actual examination date. The candidates who have successfully filed the application form and paid the application fee will be issued Admit Card. Also, candidates Candidates will be able to download their admit cards one week prior to the date of examination. It is advised to students to select the test centres carefully in the BHU PET 2019 Application Form itself, as no further changes can be made in this regard later. 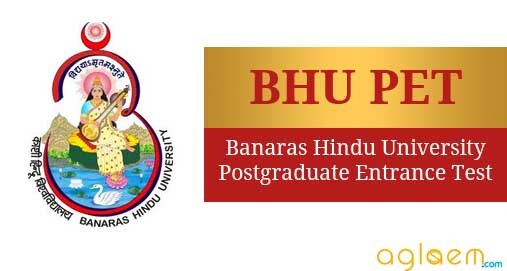 To grasp more information about BHU PET 2019 Admit Card, candidates can go through this article. Admit Card: Candidates can download BHU PET 2019 Admit Card from www.bhu.ac.in. 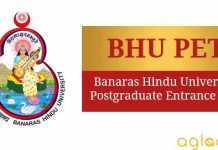 How to download BHU PET 2019 Admit Card? Candidates will be required to visit the official website and then will be required to click on the link flashing as “Admit Card”. After clicking on the admit card, candidates will have to enter their Registration ID / E-mail ID. After entering the Login Credentials, candidates will be able to see their admit cards and then can finally download it. As a last step of the process, it is advised to the candidates to take the printout of the admit card to avoid further chaos and confusion. A passport size photograph has to be affixed on the printout of the admit card in the space provided under self- attestation. No candidate will be allowed to enter 30 minutes after the commencement of the examination. No candidate will be allowed to appear in the test without a valid Admit Card. The admit cards will not be sent to candidates through post. Candidates are required to keep the admit card safely after the test to present it before the admission committee if they are called for counseling. Candidates will not be allowed to leave the examination center until the end of the examination. Duration: BHU PET 2019 will be of 120 minutes. Total Marks: BHU PET 2019 will be of 360 marks in total. Nature of Questions: The question paper will be comprising of Multiple Choice Questions. Marking Scheme: 03 marks will be awarded to candidates for every correct answer and 01 marks will be deducted for every incorrect answer. Distribution of Questions: Click Here to know about the subjects which candidates have to prepare as per the different papers. Important Information: An E-mail / SMS regarding the admit card will be sent to the students on their respective e-mail ID or Contact Number. Hence, it is advised to the candidates to enter their e-mail ID and contact details very carefully while filling the Application Form. What to do at the time of Discrepancy in BHU PET 2019 Admit Card? It is the sole responsibility of the candidates to examine the Admit Card carefully after obtaining it and check all the details mentioned in the admit card. In the case of discrepancy, the candidates should inform the Office of the Controller of Examinations immediately. No excuses will be entertained later at any cost so it is advised to inform the governing authorities. No consideration will be given if discrepancies are not pointed out timely.